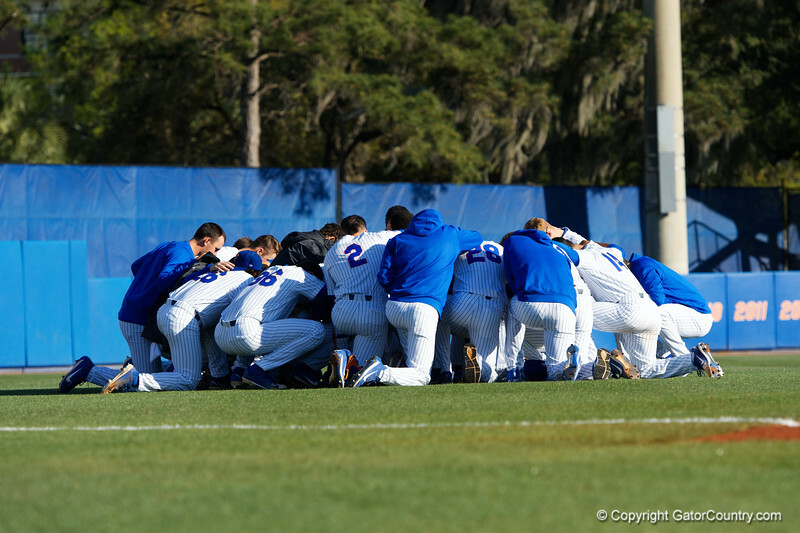 The Florida Gators baseball team gathers together in the outfield during pre-game as the #2 ranked Gators defeat the #7 Florida State Seminoles 12-6 at McKethan Stadium. February 16th, 2017. Gator Country photo by David Bowie.